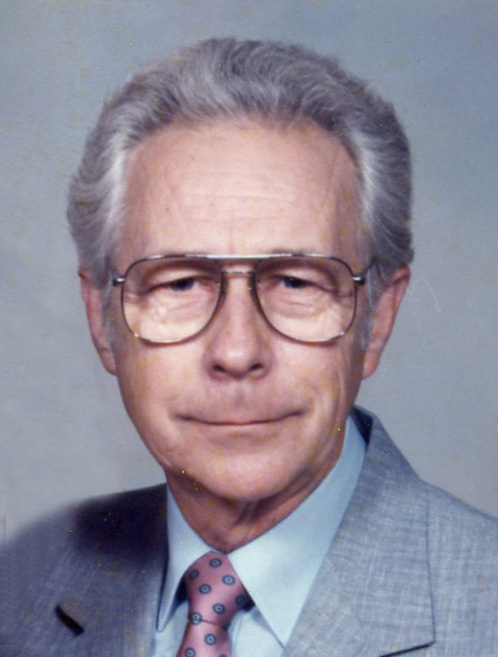 Lee Bogle, 94, passed away April 8, 2019, at Bishop Drumm Care Center in Johnston, Iowa. He was born June 15, 1924, in Moulton, Iowa, and raised on a farm along with his five siblings. Lee joined the United States Army following high school graduation. He served in the Philippines during WWII until his honorable discharge in 1946. After the service, he married Betty Louise Morrow and they were blessed with their son, David Lee Bogle in 1947. Lee and Betty were married 59 years before her passing in 2005. Lee retired from Montgomery Ward’s after 25 years of service as a department manager. Lee enjoyed many trips to Canada fishing with family and friends. He wintered in the Rio Grande Valley in Texas after retirement where he loved golfing and square dancing. Lee was known to be quite the handyman and enjoyed tending his beloved Oakcrest Apartments. Lee is survived by his son, Dave (Cindy) Bogle of Johnston; brother, Max Bogle of Des Moines; his grandchildren, Mike Bogle (Amanda Davis) of Norwalk and Dr. Angela (husband, Chris Riekens) Bogle of Lenexa, KS; as well as his treasured great-grandchildren. He was preceded in death by his parents, Gilbert and Lula Bogle; loving wife, Betty; 3 brothers and 1 sister. Visitation will be held from 11 a.m. – 12 p.m. on Thursday, April 11th at Highland Park Christian Church, 4260 NW 6th Drive in Des Moines. A graveside service will follow at 12:30 p.m. at Highland Memory Gardens Cemetery. In loving memory of Lee, memorial contributions may be directed to Bishop Drumm Retirement Center, 5837 Winwood Drive, Johnston, IA 50131.